Protect the sensible palms and support the wrists simultaneously with training gloves while doing your strength training. 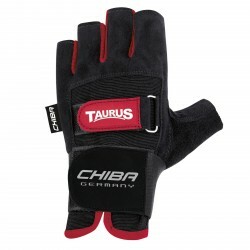 Blisters, abrasive burns, and calluses can be prevented with the gloves of Chiba. The Taurus Edition at the top price-performance ratio is available - exclusively at T-Fitness. The Chiba training glove Lady Diamond can be universally used. The training glove for women offers great comfort and the Airvent ventilation system to keep hands cool. 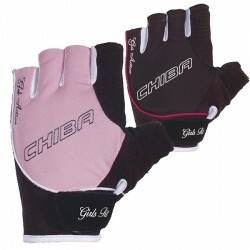 The Chiba training glove Lady Gel is a fitness glove for women offering universal use. It has an anatomically shaped cushion in the inside hand. This makes the training glove even better padded. The upper hand material is very breathable. 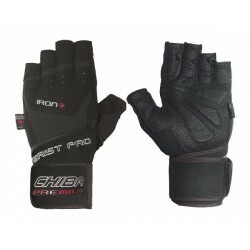 Professional Chiba Premium Line Iron Plus training gloves for strength sports with weights. 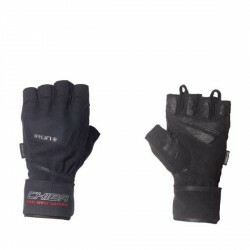 Gloves are abrasion-proof for better hold and stabilize hand while exercising. The Chiba Premium Line Classic training gloves is made of precious nappa leather and has a very comfortable gel padding. 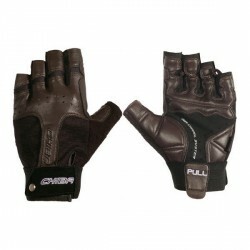 The training glove is a professional accessory for strength training. Professional glove for barbell training. 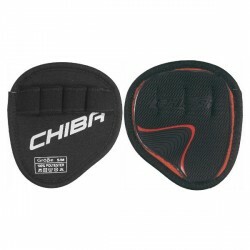 The Chiba Workout Wristguard II training gloves are an optimal strength training accessory and give more hold for exercising with barbells/dumbbells and weights.